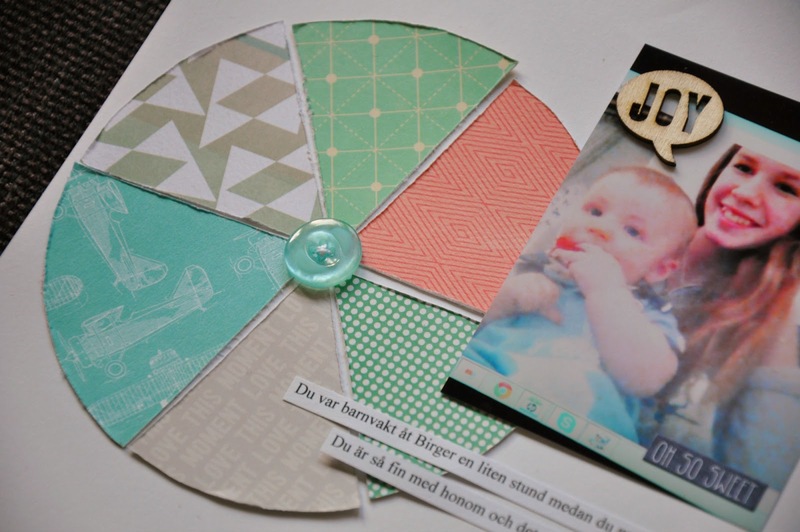 I might be late to the pie chart thing, but it is such a fun way to add some patterned paper to your layout! 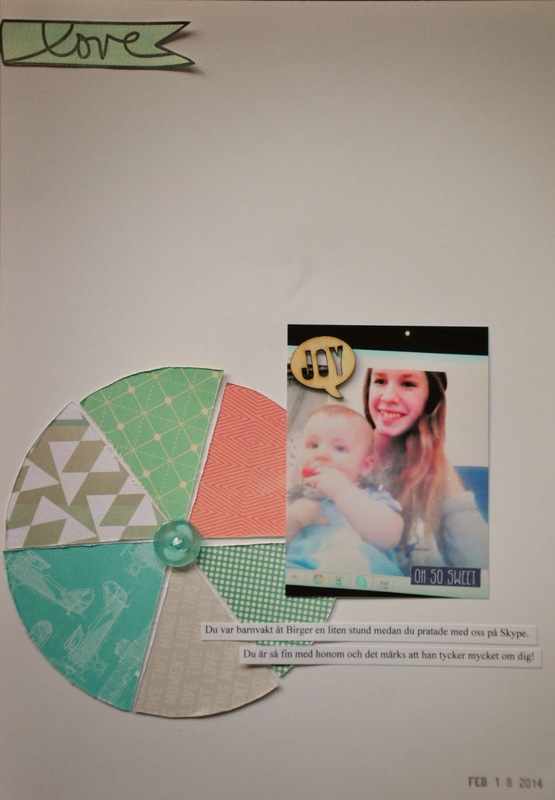 I used papers from past and present Cocoa Daisy main kits for mine. I sliced a circle and numbered each piece and just traced them on to the patterned papers. Rough them up with my craft knife and put the chart together a bit messy. To add some of the same scheme I painted the Ali E flag stamp with my watercolors. The photo is a rather bad screen shot from when my daughter visited with her little brother and we talked on Skype. I love that I get to scrapbook their relationship!